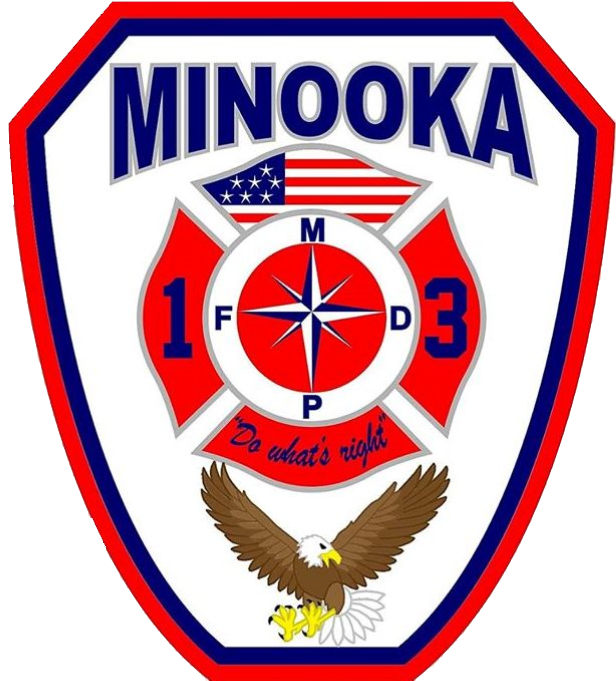 Minooka and Channahon Fire Protection Districts have become a Registered Safe Sitter Teaching Site and offers the comprehensive babysitting training program for young adolescents ages 11 to 15 years old. Over 650,000 graduates have completed the course at hundreds of cities across the country. Graduates are able to handle emergencies when caring for younger children and are equally equipped with tools needed to stay home alone safely. Injuries are the leading cause of death in children up to age 5. Safe Sitter is a well-rounded youth development program with a medical basis that aims to reduce the number of avoidable and unintentional deaths among children being cared for by young teen babysitters. The program follows American Heart Association standards for rescue skills as well as instruction in first aid techniques from the American Academy of Pediatrics. Students who complete the Safe Sitter program gain confidence and learn how, why and where injuries can happen so they can be prevented. They are taught infant and child choking rescue and CPR in this one day course. The will also learn how a child’s age affects how to care for them, how to prevent problem behavior, how to run their own babysitting business as well as issues of online and cell phone safety. To graduate from the Safe Sitter course and receive a completion card, students must pass a rigorous practical test that indicates their mastery of key concepts and life safety skills. Minimum students is 6; Maximum students per class is 12. Cost includes: Class materials, student handbook, completion card and a Safe Sitter Kit (Bag with a flashlight, bandage dispenser, and Safe Sitter Important Numbers note pad)– $38.00 for a Minooka and Channahon residents*, or $45.00 for a non-resident. *Minooka and Channahon resident is defined as a resident that lives within the Fire Protection Districts, NOT School District. White Safe Sitter T-shirts can also be purchased (not required for class) for an additional $20.00. Adults sizes only, Small through X-Large. Download and fill out the registration form. Bring the completed registration form and the non-refundable payment by registration deadline to the appropriate fire department Monday through Friday, 8am to 4pm. Registration forms and payments will not be accepted via mail, after 4pm or on weekends. Phone calls for pre-registration will not be accepted. Only cash (exact amount) or check will be accepted unless registering online. * For classes held in Minooka, click the Registration button below. There is a $2.00 convenience fee for online payment. Class starts promptly at 8am. Please plan to arrive approximately 5-10 minutes early to sign in. Note to Boy/Girl Scout Leaders: This class can also help your scouts earn a badge! Call for more information and set up a special day for your troop. 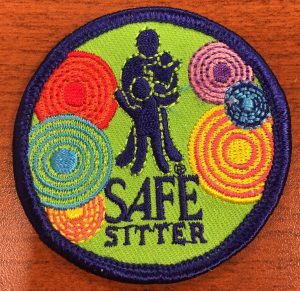 For an additional $2.00 per student, they will get the Safe Sitter Scout Badge.